Olympics is not to win but to participate used to be old slogan. People go to Olympics to compete and hope for medals. Olympics is an international events that feature both summer and winter games. The game started from Greece as celebration of Greece god –especially Zeus. It is meant to be a competition among several athletes. Usain Bolt is a sensational name because of his extraordinaire performance which was preceded by vigorous exercises. Coming to Olympics with the old notion of just to participate is a forgone issue. There is no sense in coming to show your face and waste your country hard earned money. This statement is especially true in a sane environment. As this event comes to a close, are there lessons we can learn? 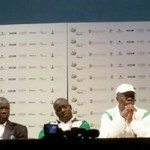 People who win prepare in advance: Just now i read an article online about Nigeria’s sport Minister saying he and the federal government were disappointed because non- of the country representatives was able to get a medal. There is no hard and fast rule. Olympics is not about magic or abracadabra. Long time preparation must precede excellent performance. Athlete like Usain Bolts and many others who won medals did not engage in fire-fighting approach. You want to win? Have a focus, invest in self-development, be committed to the course and practice, practice and practice. Consider the implication of your action: in a big platform like Olympics, several issues that would not have gained prominence usually gain traction very fast. Cameroonian athletes ran from the camp and refused to go back home. They never thought about the implications on their country image nor their own. They eventually became notorious for a bad act that may have long lasting implication when next they want to travel to any western countries. God help them if their names are not flagged. What is annoying in the whole issue is that they will soon be apprehended. It is highly useful for me. Massive thumbs up for this weblog post! Many thanks for your individual work on this web site. My mum really loves making time for research which is simple to grasp why.